How to get a flat tummy after delivery? 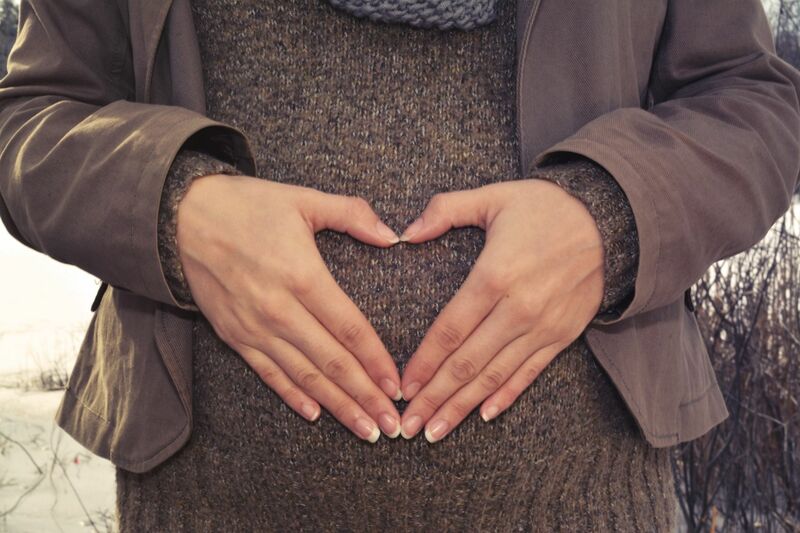 Throughout the pregnancy, your belly and abdominal muscles are weaker and stretched to create space for your baby. When these abdominal muscles are too strong before the pregnancy or the belly developed too quickly, the linea alba between rectus abdominis (6 packs muscle) tears leaving a gap above and below your belly button. It is named a Diastasis. To know if you have a diastasis, after giving birth, you have to lie down on your back with knees bend and feet on the floor. Put 3 fingers underneath your belly button and press gently. Raise your head, if your fingers are blocked, there is no diastasis. If your fingers go deeper, there is a diastasis. Warning: do it only once as the repetition of this test can increase the diastasis if repeated too often. Your hormones also play a big part in abdominal and pelvic floor muscles relaxations to help the birth of your baby. If you gave birth through a C-section, adhesions due to the scare are another cause of lack of control and weakness of the transverse muscle. 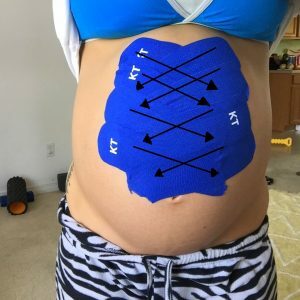 A woman’s health physiotherapist can also help by applying a K-Taping to enhance the speed of closure of the post-natal diastasis. Abdo-MG aims at recovering functional abdominal muscles enhancing breathing and integrating good habits in you daily life. After this super technical explanations let’s with the two following videos what it is exactly! When the gap in rectus abdomini (diastasis) is closed, it will be possible to start a specific rehabilitation for your transverse muscle (abdominal muscle). It is FORBIDDEN, even more after giving birth but also true for any woman, to do hyper pressure abdominal exercises (crunches, sit ups…). Indeed, these types of exercises create a strong push towards your pelvic floor. The increase pressure in the abdomen prevents to engage your pelvic floor muscles pushing your pelvis organs down, leading to incontinence or prolapse. To learn more about these exercises at risk after giving birth have a read to our post about: good and bad abdominal exercises. Therefore, you need to train using exercises with no increase of abdominal pressure. A women health physiotherapist can teach you a zero pressure gymnastic preventing the push toward the floor to protect your pelvic floor muscles and to avoid incontinence and prolapses. Before to start any rehabilitation, it is essential to evaluate the stage of your post-partum (how you recover from the pregnancy) by examining both your pelvic bones/joints and pelvic floor muscles. For this purpose, a women health physiotherapist always begins with a thorough case history followed by a general examination. I hope you now know more about how to recover a good abdominal function and a flat belly! Don’t hesitate to ask your questions in the comments below!